Here we are 4 months in to 2017. How the hell did that happen?! I’ve already been back on the blogging scene for 4 months (which also includes a complete revamp of my site) but it feels like just yesterday that I started blogging again! This is the first ‘beauty favourites’ post I have done. I recently went to the Glamour Beauty Festival and fell in love with beauty all over again. I’m in my thirties and I definitely appreciate my skin now more than I did in my twenties. A lot of it is down to being more exposed to beauty brands, understanding which beauty avenues I should be pursuing but mostly what works for my skin. So let me get started. Remember the days when you used to wash your face with whatever hand soap was lying around in the bathroom? No? Just me? Well for as long as I can remember that was my skincare routine (excluding a good old spit and polish from the parental when I was younger). These day I’m far more civilised with my skincare regime and actually own a cleanser and a toner. For the past few months I have been using the Elemis Cleansing Oil and it’s great, definitely a cleanser I would recommend. However, at the Glamour Beauty Festival I was introduced to two new cleansers and I have been using them religiously for the month of April. This is step one of my double cleanse. 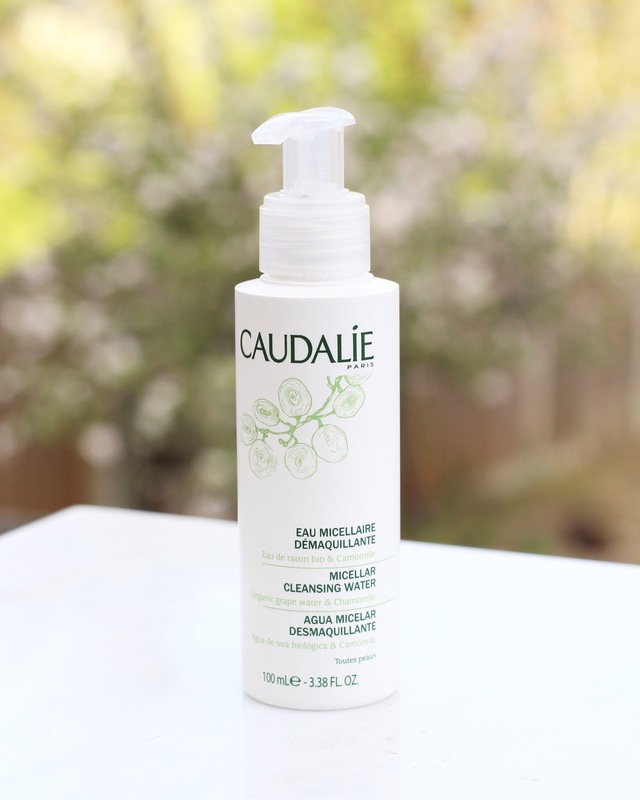 I have fairly sensitive skin, especially around the eyes, so this cleanser really works well for me. It has a strange gel like texture but I’m happy to overlook this as it is very calming on my skin and leaves my skin feeling great and nourished. 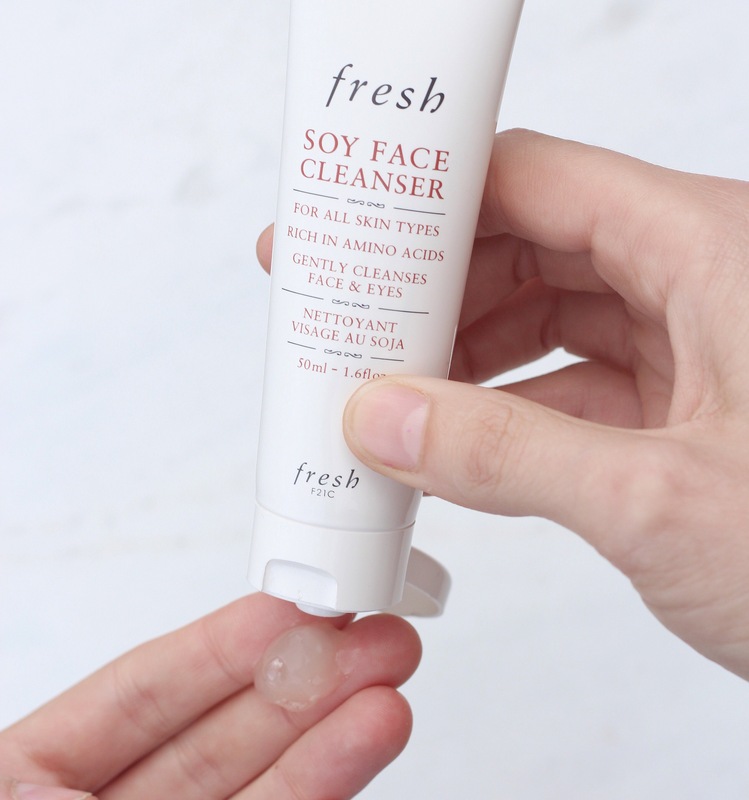 Tip: Every now and then I apply slightly more product than usual, massage it on my skin until it foams up and then I leave it on my skin like a face mask for around 10 – 15 min or until the product has absorbed in to my skin. You can literally feel your skin tightening by the minute. Step two of my double cleanse is this gorgeous organic grape water and chamomile cleansing water. It’s easy to use and I could easily drop the first cleanse and only use this if, for instance, I was travelling or at a festival. You don’t need any water and can just apply it to a cotton wool pad and voila. It does a great job of removing the last bits of dirt and grim from the day, getting your skin ready to absorb the skincare you apply after. 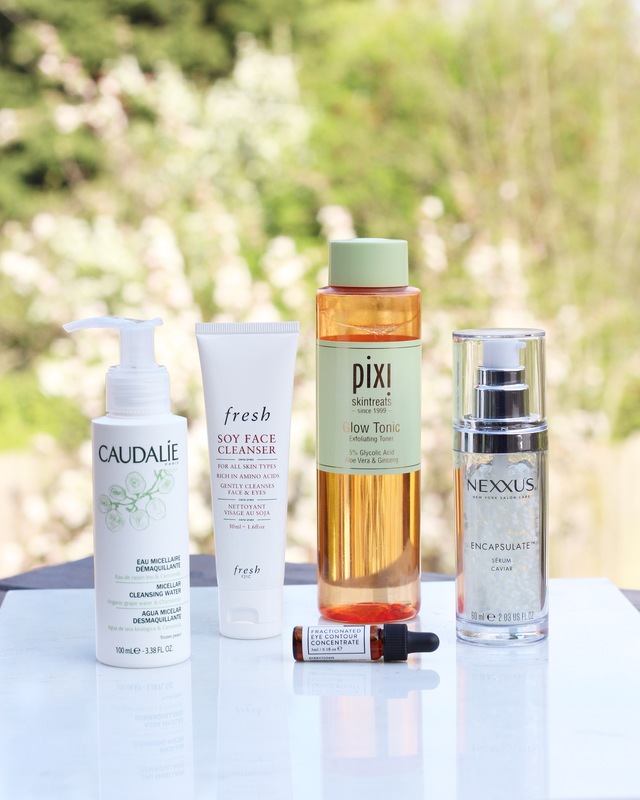 Although this is part of my April Favourites post I’ve been using the Pixi Glow Tonic for a while now. 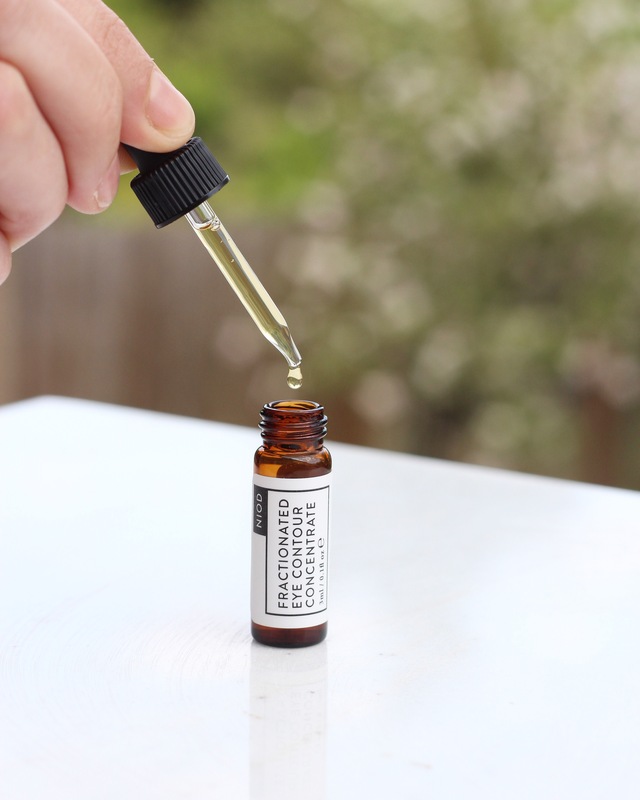 A few months ago I wanted to step up my skincare regime and I was looking for a product that would be easy to ingegrate in to my routine and deliver results and Pixi Glow Tonic does just that. Even after a double cleanse it still manages to remove leftover residue and leaves my skin glowing. When I was at the Glamour Beauty Festival I managed to try the Pixi Oxygen mask which blew me away and I’ve got one on order which I can’t wait to use! The area around my eyes is probably my biggest concern. For me the eye area is one of the most telling signs of ageing and although I don’t have a road map of fine lines around my eye area (yet), I like to keep on top of things. Cue the Niod Eye Contour. My biggest frustration with many eye creams and so on is that they don’t absorb quickly or at all leaving my under eye area looking and feeling worse than it did before I applied the product. I find the Niod Eye Contour Concerntrate isn’t greasy and that it absorbs in to the skin quickly so it’s a real win for me. There is a lot of science behind this brand, which if I am honest, is rather confusing so I haven’t delved in to many other products in this range but I am a huge fan of this. 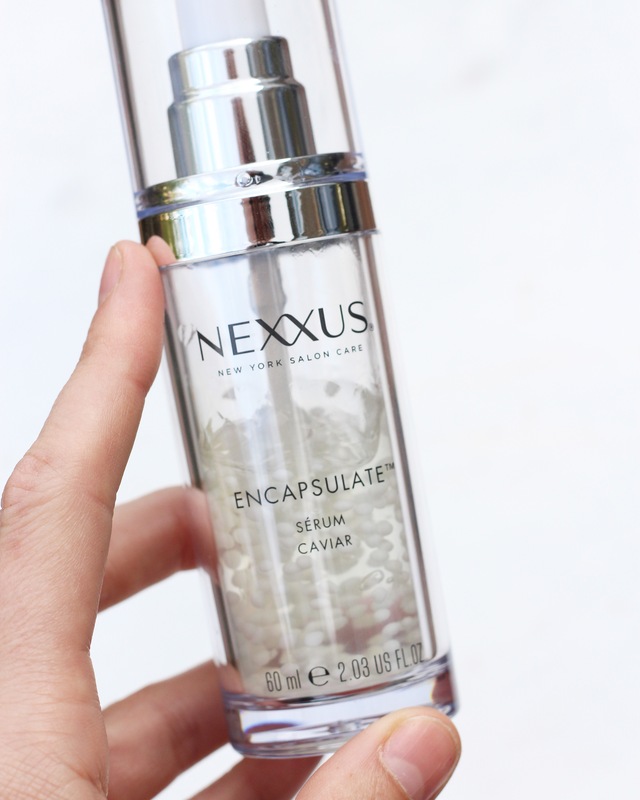 A bottle full of pearl like bubbles suspended in a water-based serum, what’s not to love? The smell is utterly fabulous and if I could lather this all over my skin I bloody would. It looks cooler in the bottle than it does when it comes out as everything blends together, regardless the results are great. I have fine hair along with being a bottle blonde so my hair is rather damaged especially after being at the hairdressers. I’ve applied the product both on wet hair before drying and on dry hair to smooth and nourish and I’ve had great results. I don’t usually apply any product to my hair for fear of my hair being weighed down or looking greasy. This product does neither and my hair, in my opinion, looks and feels healthier. That’s my round up for April. Let me know what your favourites beauty products are for the month! Oh I love the Pixi glow and the Soy Fresh cleanser. I haven’t tried the other products but they look great and I’ll have to look into them! if you have some products that you absolutely love. Pretty photos! I really want to try the Pixi Glow Tonic! Sounds fabulous. Thanks 😁 I am literally in love with the Pixi Glow Tonic! I just received the Pixi Oxygen Mask, can’t wait to start using! 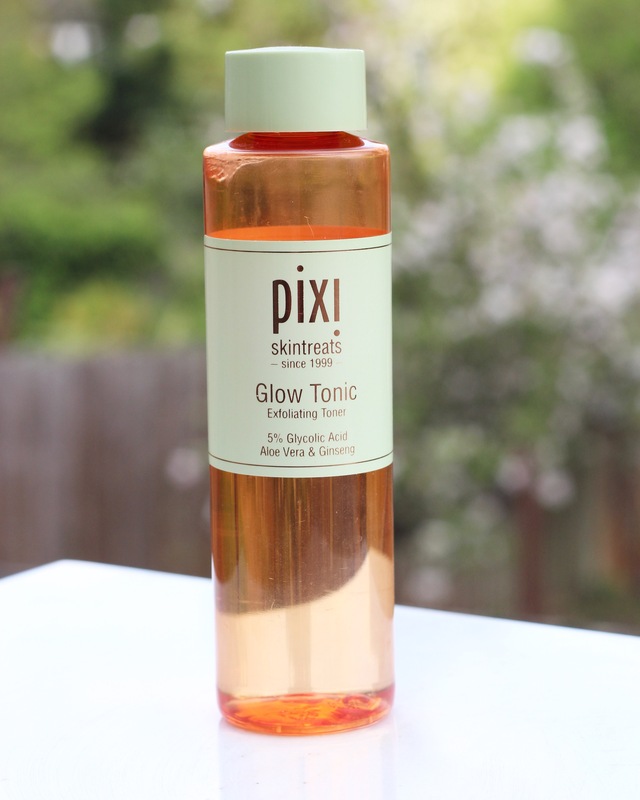 I’ve heard lots of good things about the Pixi glow tonic. Thanks 🙂 The Pixi Glow Tonic is definitely one of my favourites. Thanks! Let me know how you get on if you do end up trying some Pixi products. I’ve gone through countless bottles of the Pixi Glo Tonic. Such a good product that I recommend to everyone! Second bottle for me and I’m a huge fan. Ordered their oxygen face mask which I can’t wait to use! I really want to try out Pixi Glow tonic so badly !! Everyone’s raving about their products at the moment. I would definitely recommend it! I’ve just bought the Pixi Oxygen Mask and I can’t wait to try it out. I just checked out your site, it looks great! Great photos & products. Will check it out soon!